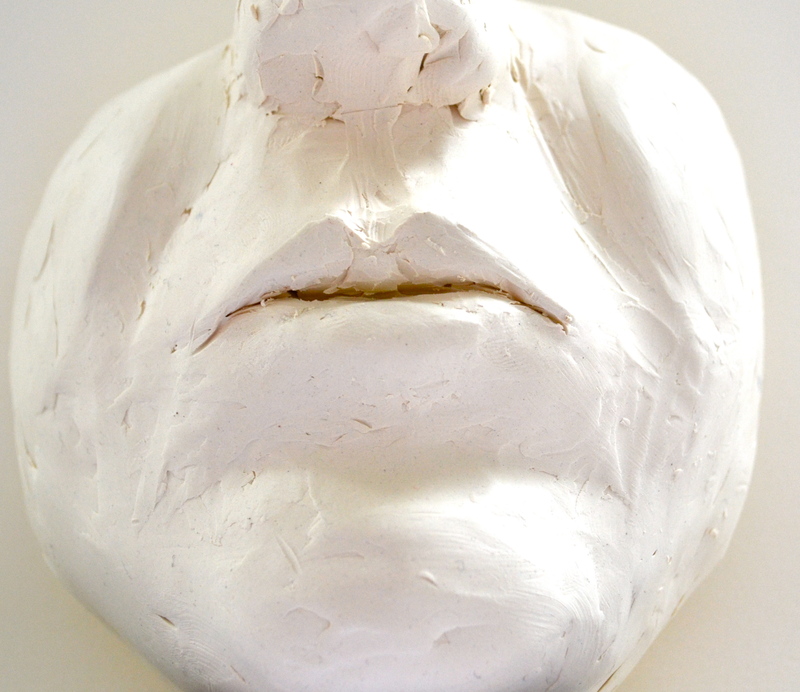 On June 26th and 27th I posted sculptures of the nose and ear. Here comes the mouth. As a reminder: the purpose of sculpting parts of the face (in this exercise) is to understand their shape better – the plane breaks, the volume, the relationships of the parts of the face to each other – consequently it helps to become better at drawing (the face). In addition one can practice drawing from the sculptures – drawing from a 3-D model – e.g. the following photos show how the shape of the mouth can create shadows on the face, it also shows the “hills” and “valleys” of this part of the face quite well. You could also draw the feature from different angles – e.g. practicing drawing a foreshortened view etc. 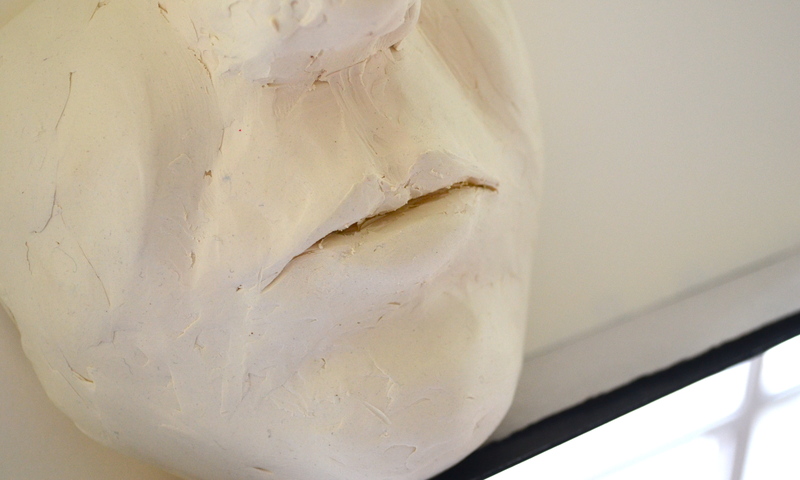 The following photo shows well that it’s really only a sculpture of the mouth. 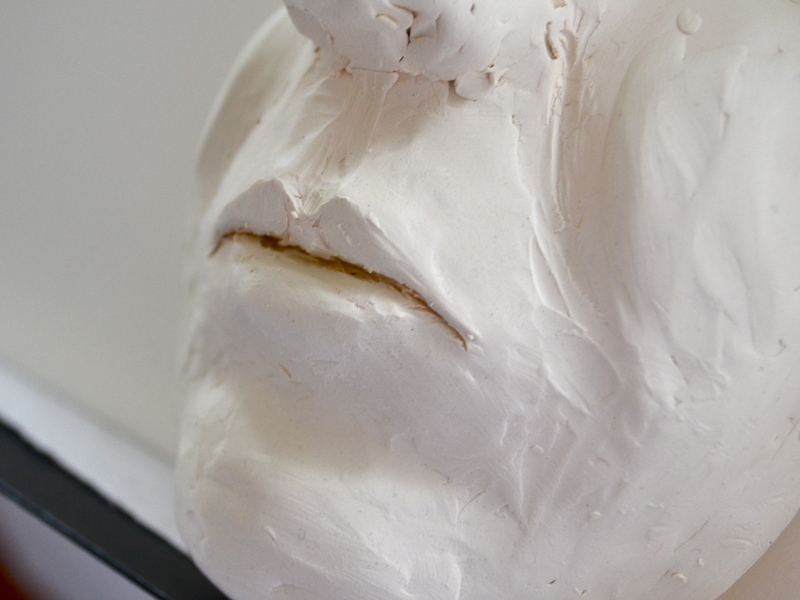 Neighboring features of the mouth are only developed as much as necessary to understand the relationship hence the nose in this sculpture is really a rather undefined lump of plasticine serving as the “boarder” to the north (casting a shadow) and showing that the philtrum groove of the mouth connects to the nose – although it doesn’t show the details of how exactly it connects to the nose as this information is not needed for drawing the mouth. This entry was posted in drawings, sculpture and tagged art, art instruction, construction drawings, create, drawing, drawing classes, drawings, fine art, fine art classes, inspirational, inspire, practice, sculpture on July 7, 2012 by lilo.